Neem is the common name of an extremely important tree native to the Indian subcontinent, although it now grows in certain parts of the Middle East as well. Neem trees grow very rapidly and have broad spreading leaves, which they can drop quickly in a drought so as to protect the rest of the trees. This quality makes neem trees extremely resilient to challenging environments; it is primarily found in tropical and subtropical zones and thrives there. The oil from neem leaves can be extracted and used in a wide variety of medicinal uses, while the leaves can be dried and used as an herb or even as a pest repellent. In many areas of India, the shoots and flowers of the tree are also used in culinary applications. Neem contains a very unique composition of organic compounds and beneficial components, making products derived from neem very popular in alternative and herbal remedies. From tea and garnishes to skin salves and herbal supplements, neem is considered one of the most important and versatile plants in Indian culture. 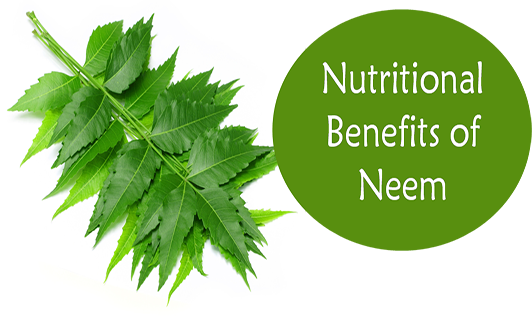 Let’s take a closer look at the many health benefits of neem. Antibacterial Potential: One of the most widely recognized benefits of neem oil, leaves, tea, and every other derivative is its strong antibacterial and antimicrobial effects. This comes into play both internally and externally, which is why neem is considered to be such a general tonic for the immune system and as a simple way to keep your overall health better protected. Dandruff: The antifungal and antibacterial properties of neem make it very popular in shampoos and scalp cleansers, as it can help the skin remain hydrated and eliminate dandruff while strengthening your hair and improving the health of your hair follicles due to its antioxidant content. In fact, neem is even used in traditional medicine to stimulate hair growth and prevent male-pattern baldness. Acne Treatment: In terms of treating acne, which is one of the most widespread and challenging skin conditions to treat or eliminate, neem paste is recommended to eliminate much of grease and bacteria that can exacerbate the condition. The antibacterial nature of neem will also help prevent future breakouts, while the antioxidants in neem will help to minimize scarring and keep the skin looking fresh and clean. Need also has astringent properties, which reduces the chances of skin sagging or showing signs of wrinkles and aging. This is due to the fatty acids in neem oil, as well as the high content of vitamin E.
Oral Health: Neem is very popular as an ingredient in oral health products in the Indian subcontinent. The antibacterial qualities of neem make it ideal for eliminating the bacteria beneath the gums that causes periodontal disease and halitosis (bad breath). Neem is popular in mouthwashes and toothbrushes for precisely that reason, although the flavor’s not bad either!